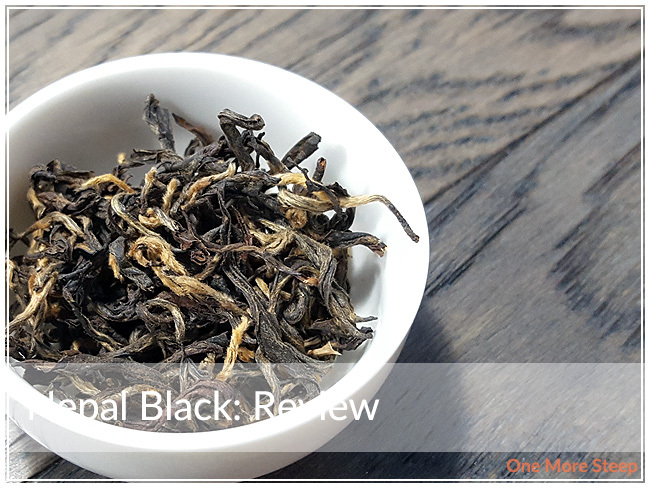 Arbor Teas has provided me with Nepal Black for the purposes of providing an honest review. I received this product at no charge to me and received no other compensation. Nepal Black comes in the now-familiar environmentally friendly packaging that is compost ready. With a quick snip of the scissors across the top, the tea leaves spilled out because there was just so much of it! The leaves of Nepal Black are wiry – dark twisted leaves with golden yellow tips. The lighter parts of the leaves still have the visibly downy ‘feathery’ parts to the leaves. 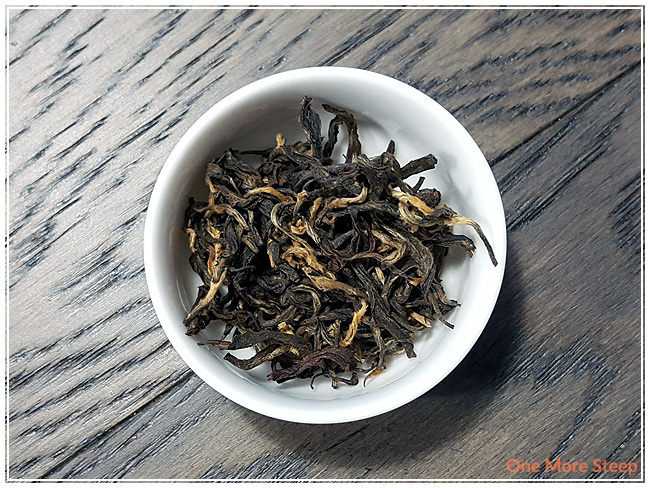 Nepal Black is an organic Nepalese black tea. The leaves are beautiful in this tea. The dry tea leaves of Nepal Black have a rich honey and brown sugar smell to it, the combination remind me a bit of molasses. Arbor Teas recommends steeping Nepal Black in 212°F (1oo°C) water for 3-5 minutes. My initial steep of this organic black tea was for 3 minutes. 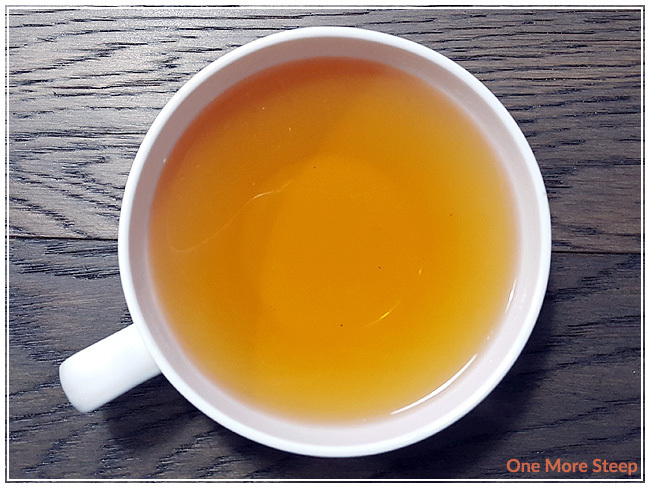 Nepal Black’s initial step yields a lovely golden orange cup of tea. The aroma of this tea is strongly of honey and brown sugar – what a sweet combination. The taste of Nepal Black isn’t as sweet as the aroma led me to believe. It has a very strong flavour – reminds me a lot of breakfast teas in how strong it is (fans of English or Irish Breakfast teas will know what I’m talking about). It’s a full-bodied flavour that is matched with a touch of astringency that I often find with strong black teas. The honey and brown sugar flavours are present, albeit not as strong as the just overall strength of the black tea – it has a great mouthfeel to it and is just overall very strong. I think it could be tempered down with some cream or milk, if you were one of those people that like to doctor up your tea. 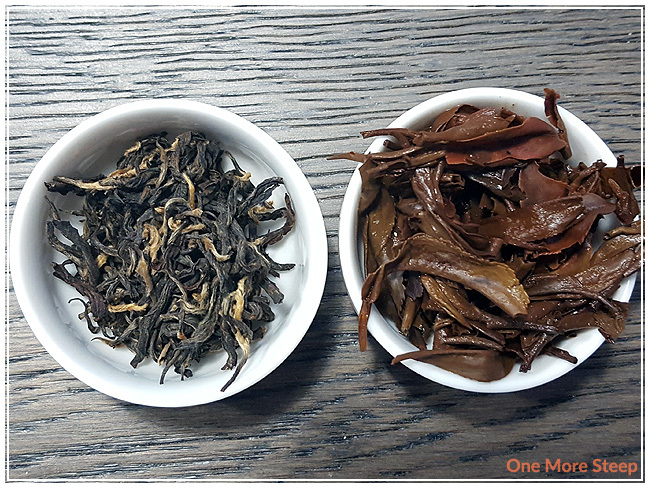 I resteeped Nepal Black a few times (four resteeps in total), with an additional 30 seconds in steeping time for each subsequent steep. I found that the colour of this tea kept getting darker, becoming a beautiful amber colour as it steeped. The overall flavour of Nepal Black could be described in a word: robust. It’s very strong, the astringency did get stronger as I continued steeping it, although the brown sugar flavour was still holding its own by the last resteep. 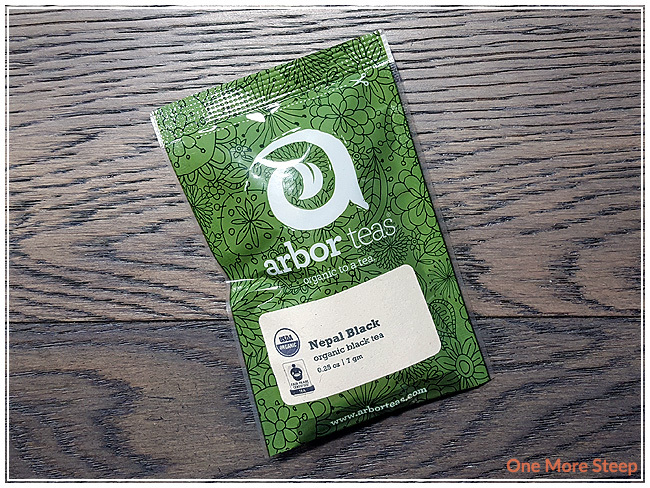 I liked Arbor Teas’ Nepal Black. I think Nepal Black works really well as a strong, straight black tea. The astringency isn’t off-putting, and the strength behind this tea really packs a punch. I wish the sweetness that I could smell from the tea was stronger in this tea, as I felt it really could benefit from some added sweetness (honey or sugar would be great for this tea to help amplify the honey flavour). Overall, I really liked Nepal Black. It’s an overall good cup of tea, and I think it’d be good for someone who’s looking to replace or go beyond a basic breakfast tea. This organic black tea really packs a punch with the strength behind the tea, but it’s a bit bolder and more complex in flavour.